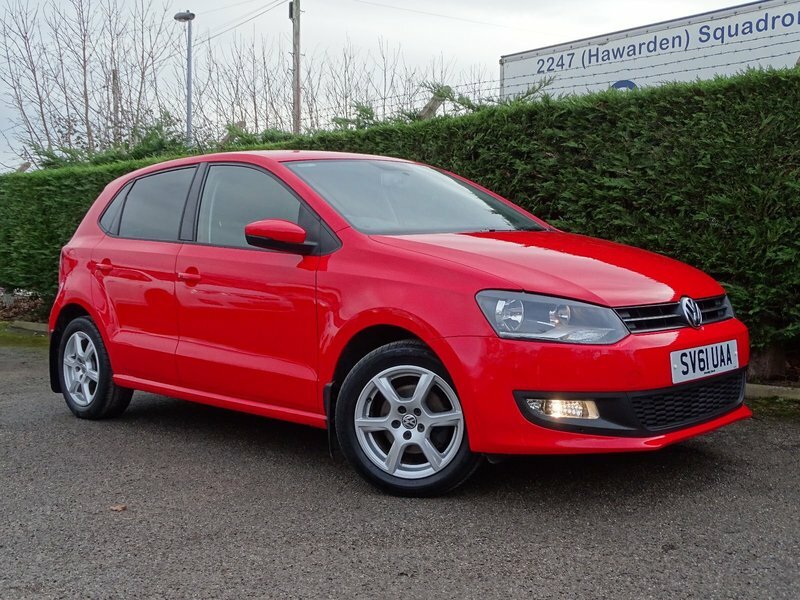 Gleaming red Polo Moda ,1 of 2 Polo's currently in stock, 1 former keeper from new, 2 keys , Service history= 3 stamps., Mot, 12 months basic AA breakdown cover, 3 months warranty, service and pdi inspection all included., , We are a Flintshire trading standards and AA cars approved car dealer , J.M Motors have been helping customers buy quality reliable used cars in Hawarden, North Wales for over 39 Years. On site servicing and workshop facilities ensure all our vehicles are prepared to the Highest Standards. Visit our Website for a full stock list www.jmmotorshawarden.co.uk or Find us on Facebook search : JM motors Hawarden where you can read more reviews., 6 Speakers, 4 Front, 2 Rear, ABS (Anti - Lock Braking System) with HBA (Hydraulic Brake Assist), ASR (Traction Control), Alloy Wheels, Four 6J x 15 Cadiz with 195/55 R15 Tyres and Anti - Theft Wheel Bolts, Body - Coloured Bumpers and Side Sills, Centre Console, Centre Rear Seat Belt, Cup Holders, Front x 2, Digital Clock, Driver and Front Passenger Seat Height Adjustment, Drivers Airbag, Drivers and Front Passengers Whiplash - Optimised Head Restraints, Rear Head Restraints x 3, ESP (Electronic Stabilisation Programme), Electric Windows, Front and Rear, Electrically Heated and Adjustable Door Mirrors, Electronic Engine Immobiliser, Front Fog Lights, Front Passengers Airbag, Heated Rear Windscreen, Automatically Switches Off, Height and Reach Adjustable Steering Wheel, High Level 3rd Brake Light, Isofix Preparation (for 2 Rear Child Seats), Matt Chrome - Air Vent Surround, Handbrake Button, Internal Door Handles, Matt Chrome Gear Lever Gaiter Surround, Open Storage Compartment and 12V Socket with Cover, 12V Socket in Luggage Compartment, Power - Assisted Steering, Speed - Sensitive, RCD 310 Radio/MP3 Compatible CD Player and AUX-in Socket for Connection to an External Multimedia Source (e.g. iPod and MP3 Player), Rear Tinted Windows From B Pillar Back, Rear Wash/Wipe with Interval Delay, Remote Central Locking with 2 Remote Folding Keys, Side Head/Thorax Airbag System, for Front Passengers, Steel Space Saver Spare Wheel, Trip Computer, Upholstery - Strata Cloth. 5 seats, Red, 2 owners.